On the first Monday in September we celebrate Labor Day. It’s a day on which we honor the great accomplishments of the American worker. It is also the unofficial end of summer, with students heading back to school, days getting a little shorter, and cooler weather coming. For me, this is a perfect long weekend to host yet another barbeque with my family and friends…you know I love nothing better than standing in front of my Weber Grill!! I sell an 80% lean ground chuck for burgers. I feel this is the best meat to fat ratio for that juicy burger. It contains a blend of chuck and brisket meat. Beef is not the only option you have for burgers. Lamb, turkey, and pork also make great burgers! That’s what I love about burgers… you can use a variety of meats and make them in different sizes. Use Weber’s Original Burger Press. This will allow you to make that perfect burger while also indenting the center to prevent your burger from puffing up in the middle. Keep the meat cold below 40 degrees. Make your patties ¾ of an inch thick and season just prior to grilling. Approximate grilling time will be 8-10 minuets on direct medium-high heat, turning once. When I grill steak for a crowd, I usually grill something large enough to satisfy many guests. Flank, Tri-Tip, and Hanger Steaks are my go-to’s. Flank and Hanger are similar in weight about 1½ to 2 pounds each. Both have similar flavor, texture, and grilling time, approximately 8-10 minuets on direct-medium heat. 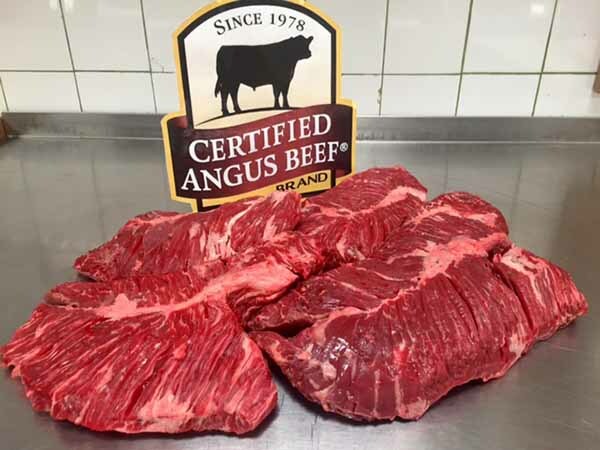 The Tri-Tip is thicker and weighs about 2-2½ pounds. It’s best grilled on direct-medium heat for 10 minutes to sear, and then move to indirect-medium heat for about 20-30 minutes. Be sure to pre-heat your grill for 10 to 15 minutes and scrape the grates clean. All these steaks are great to marinate for added flavor. After grilling let your steak rest and always slice across the grain. Sautéed onions and peppers is one of my favorite side dishes. 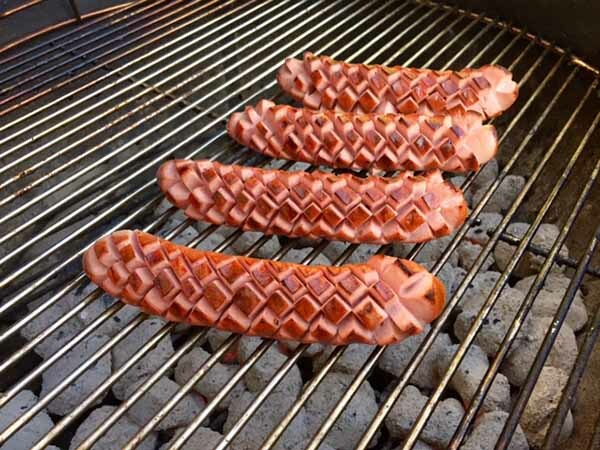 Who doesn’t love a perfectly grilled hot dog? When I grill hot dogs, I always create a topping bar with a wide variety of condiments so everyone is satisfied. I look for a hot dog that is made from a combination of beef and pork in a natural casing. When grilling a dog in a natural casing always score the dog prior to grilling. This will prevent it from bursting open. With this method you will achieve a nice char on the dog while maintain its shape. Fall is my favorite time of the year to grill. Make it your favorite too! !